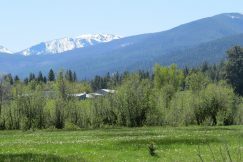 Discover Montana land for sale in the Bitterroot Valley here. 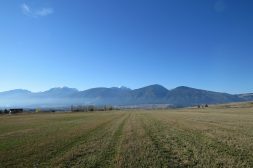 If you are looking for Montana land for sale in the Bitterroot Valley and local area, we are here to help. Check out some the current listings below, and feel free to contact me directly for additional information here. Now is the perfect time to purchase your land and prepare to build your dream home. Located in a quiet cul – de – sac – all utilities are ready for your new home. 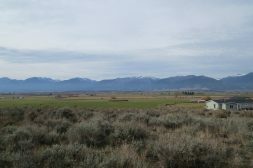 The land does come with irrigation rights, is septic approved and the views are of the entire Bitterroot Mountain chain. Close to Hamilton and all town conveniences. Priced for a quick sale. Call Cindi for full package. Hard to find irrigated productive acreage on Illinois Bench offering 4.81 level acres with NO COVENANTS, BRID district irrigation rights and breathtaking views. Perfect for your dream home and critters. Call for a complete package. Offers are strongly encouraged. 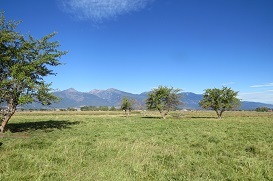 This is a beautiful 4+ acres offering breathtaking views of the Bitterroot Valley and Mountains. Located on the rim the land gently slopes to the west which is perfect for a home with a daylight basement. This offering is accessed off of fully paved roads, septic approved and the utilities are at the edge of the parcel. Additionally new double wide manufactured homes on permanent foundations are also allowed. Owner financing is offered as well. Offers are strongly encouraged. Two prime exterior lots offered in the popular Daly Estates. 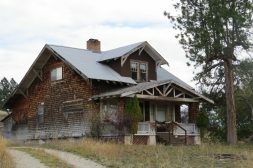 The location is exceptional as it is on the west side of the community overlooking the Bitterroot Mountains. Daly Estates is a well designed community with paved streets, community water system, sidewalks and designated park areas throughout the development. It is centrally located and close to the Town of Hamilton and all conveniences. This is the first time on the market..
A rare opportunity to own a Ranch Club golf course lot with a large private community party directly across the street. 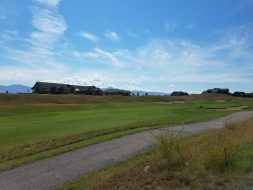 The Ranch Club is a premiere community offering a links style golf course, clubhouse with full amenities, fitness center pool and full service restaurant. Seller will entertain offers. Hard to find irrigated land adjacent to the Stock Farm Club. 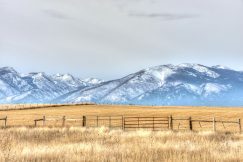 Quiet end of the lane location with massive 360 degree views of the Bitterroot Mountains and Sapphire Mountains. The well has been installed with a robust 25gpm. The drain field for a 3 bedroom home has also been installed and approved by the sanitarian. Utilities are close by and the parcel is in an area of lovely homes. 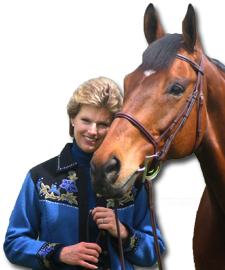 Close to all town amenities and recreational opportunities Montana is famous for. Substantial price reduction on RARE BITTERROOT RIVER FRONTAGE! There are very few tracts of land on the Bitterroot River offering direct access to the river, septic approved, transferrable water rights, no covenants and the building site is NOT in the flood plain. 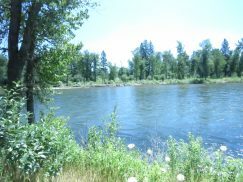 Approximately 200′ of Bitterroot River Frontage. Also has huge mountain views. In an area of nice homes. Call for a complete package. Exquisite gated community overlooking the Bitterroot Valley and close to all recreational activities and city conveniences. 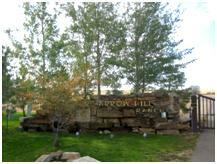 Arrow Hill Ranch is a quiet community offering irrigation, biking and hiking trails, ponds and unending views. Lot 26 is one of the limited prime rim lots being offered for your new home. The development is close to the Hamilton Golf Course and Stock Farm Golf Club. Welcome to Skyview Vista Ranch – a pristine 50 acre agricultural offering which includes surface irrigation water rights. 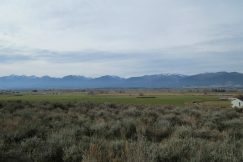 Presented in 2 – 25 acre parcels this is a rare opportunity to own land of this size in the north Bitterroot Valley and Ravalli County. Skyview Vista Ranch has panoramic unobstructed views of the Bitterroot Mountains, Sapphire Mountains and the Bitterroot Valley. The location is paramount as it is only 20 minutes from Missoula and just a few miles from the blue ribbon trout laden Bitterroot River and Clark Fork River. The topography is a combination of level ground and a gentle slope which would be the perfect homesite. 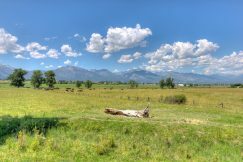 If you are looking for tranquility and a perfect location for a gentleman’s ranch – Skyview Vista Ranch is your dream come true. First time offered! Historic Frank Lloyd Wright inspired home on 96+ acres in the heart of the Bitterroot Valley. This homestead is a wonderful opportunity for developers, family compound or agriculture. Included is a private gravel pit, older outbuildings and multiple water rights. Accessed by a paved county road the location is prime, the views are tremendous and there are no covenants or voluntary zoning. Call for your private tour. Tammany Land- This exquisite 82.59 acres is already subdivided into 4 parcels with Daly Ditch water rights to the larger parcels supporting hay growth and livestock grazing. The fourth parcel has been septic approval with the home site in the pine trees overlooking the large seasonal BRID irrigation canal. The property offers mature cottonwood stands, an abundance of wildlife, convenient location to the Town of Hamilton and the Stock Farm Golf and Sporting Club yet offers privacy and serenity. 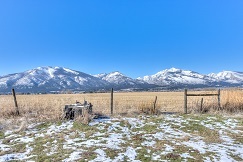 A rare offering in the Bitterroot Valley – 185 acres backing to the Bitterroot-Selway National Forest with a lovely combination of meadows and trees. This legacy ranch has been in the same family for decades and is beautifully managed for hay production and livestock. Located in the north valley and immediately adjacent to a county maintained road this offering presents the best of the desired Montana lifestyle. There are no covenants and multiple water rights will convey with the property. Included is an comfortable farm style home and outbuildings.